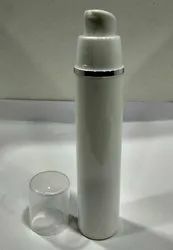 Pioneers in the industry, we offer premium lotion bottle, 100gm acrylic cream jar set, 15ml pp airless bottles, 30 ml creams airless bottles, 50 gm san cream jar and 50 ml pp airless bottles from India. 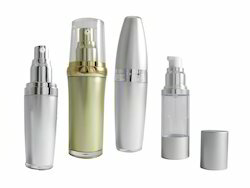 Ideal for serum,lotion,anti ageing cream,fairness cream,any skin care products etc. Use: Skin Care, Under Eye Cream, Night Cream Etc. 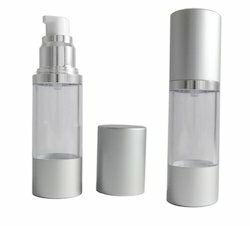 Plastic airless pump bottles - 30 ML Airless Packaging Bottles (unique and elegant design).These airless bottles are an ideal choice for cosmetics packaging. 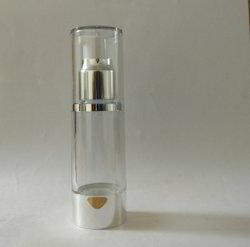 It is suitable for skin care products. 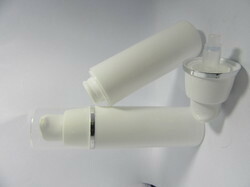 Mid Matrix False Bottom Cream Jars is used for creams,face packs,Gels,etc. 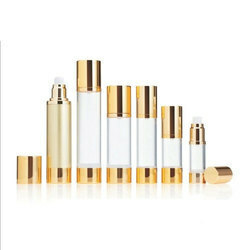 It is used to store highly quality moisturizing creams. Its leak proof design is most popular suited to current market trends. 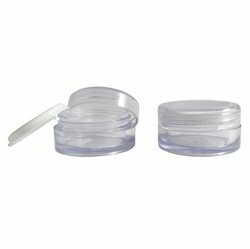 These jars prevent the cream from dust, pollution, sunlight and other types of contamination. 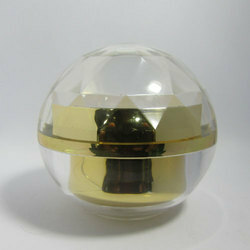 8 Gm Acrylic Cream Jar: Luxury cosmetic jar, Clear acrylic outer with white plastic inner. Complete with silver trimmed screw top lid which protects the product from dust , dripping. 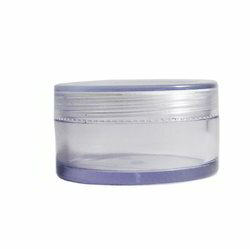 This acrylic jar gives a quality look to skincare range, healthcare creams, anti-wrinkle creams, eye gels, cosmetics, foundations, body balms. 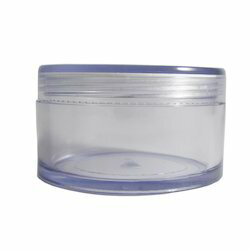 Luxury cosmetic jar, Clear acrylic outer with white plastic inner. 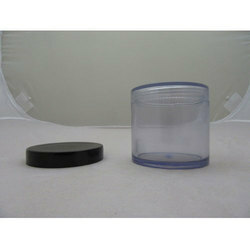 Protective Cap/ Lid : complete with silver trimmed screw top lid which protects the product from dust , dripping. 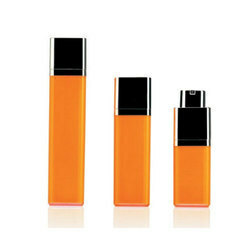 Suitable for international market products. 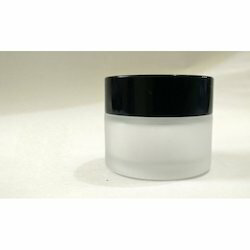 Customers can avail from us a wide assortment of 30 Gm Acrylic Cream Jars that are fabricated using the optimum quality raw material and modern machinery & tools. 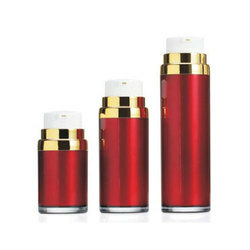 The offered Cream Jars are stringently tested on various quality parameters in order to ensure their flawlessness. 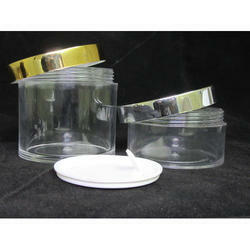 Further, these Cream Jars are made in complete adherence to set quality norms. The offered range can be availed by the customers from us at nominal prices. 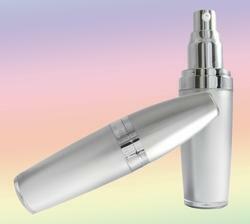 Ideal for: Liquid Foundation serum, lotion, anti ageing cream, fairness cream , any skin care products etc.